This downstairs entry way slash bottom of our stairs coat closet was a bit of a complicated space. We used it as a coat closet for a while but then it sort of became a throw it all in kinda closet. It got ignored for a while too, a couple of years in fact. Now that the entry way face lift has been in progress, it meant the surrounding areas needed to get some love too. Thoughts of making it a doggy retreat crossed our minds, or adding a sitting bench to make it functional, that we even considered taking it out completely but that soon went out the window when eventually we realized we didn't have much of a downstairs storage area for our EXTRAS. Our consistently used On-The-Go items, such as pool items, dog leashes & accessories, exercise equipment, sports gear, seasonal items, and kitchen necessities like paper towels, bathroom tissue paper, etc. The kind of stuff we would normally have to store in our garage that is detached from our town home, which makes it slightly inconvenient. So in reality we could really use more of a storage closet, period. This year I am committed to completing most of our small projects and I knew that this would be one of them. Finally. I started to browse to try and to come up with the best, easiest and budget friendly solution possible. One day I was in Home Depot looking at their rugs but who am I kidding, I'm there pretty often anyway and in that same department or isle area was closet storage solutions. I took a look, made some mental notes and I knew I had found what I was looking for. Of course I held back and did not buy everything right away. But I knew that once we were financially ready and willing, having written the best option for this closet and detailed costs, I would eventually be back to get the items I needed to get started. Well that day has come, finally. Let's take a look at the before shots shall we. As you can see, this closet was not very functional for us when we first moved into our new owned home and you can almost picture what kind of storage we actually needed out of this space. Went back to home depot and as you can see in the next pictures below, I only needed to grab a couple of shelves and some metal wall brackets. I can't tell you how affordable these were. In total for this part I only spent $45 give or take. I literally put this project together in a matter of 30 minutes and I am proud to say I did it all on my own. My hubs was out of town and so I had no choice really but I'm happy to say I'm getting the hang of doing these things on my own and its not hard once you know how to use a drill. I had previously added the hooks which are from Lowe's. Much needed for the dog leashes. I forgot to mention that this closet also got a paint makeover a while ago with leftover paint. This closet is definitely functional now. 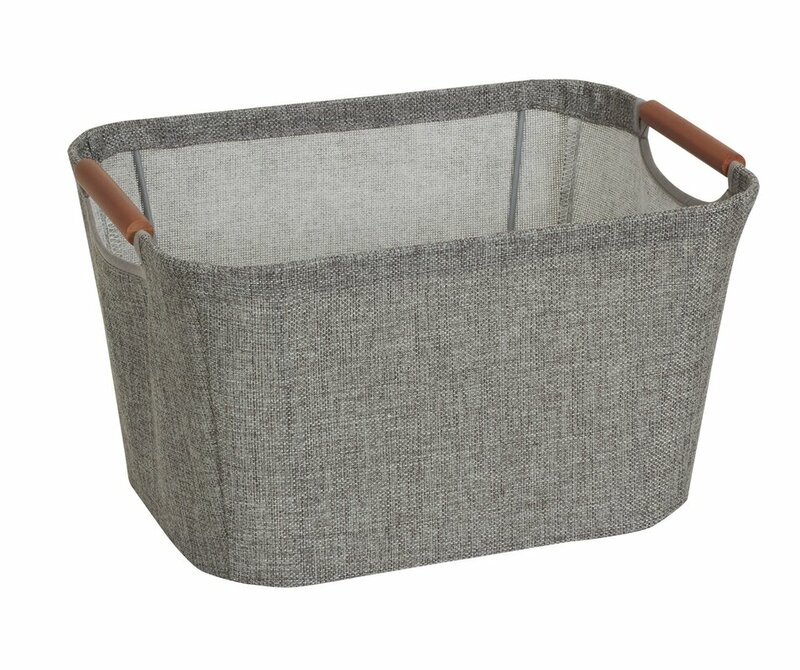 The shelves might have made all the difference in the functionality of this newly restored storage closet but these new baskets from Wayfair.com are truly the stars of the show. I probably wouldn't have put this project in high gear if it wasn't for the SALE that Wayfair is having right now. 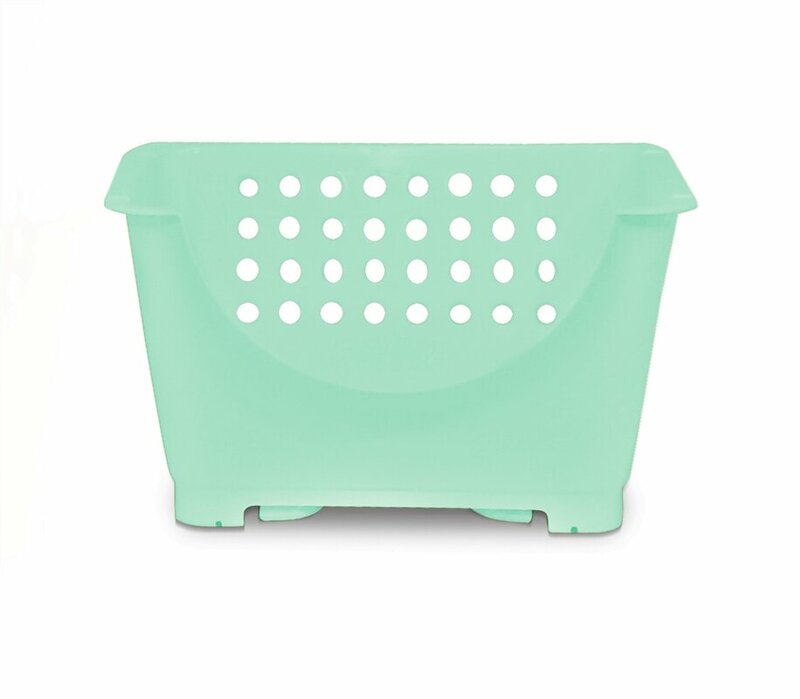 I wanted simple yet functional storage and these three piece Zig Zag Basket Set are stackable so if not in use or if any other storage is needed these are easy to move around. 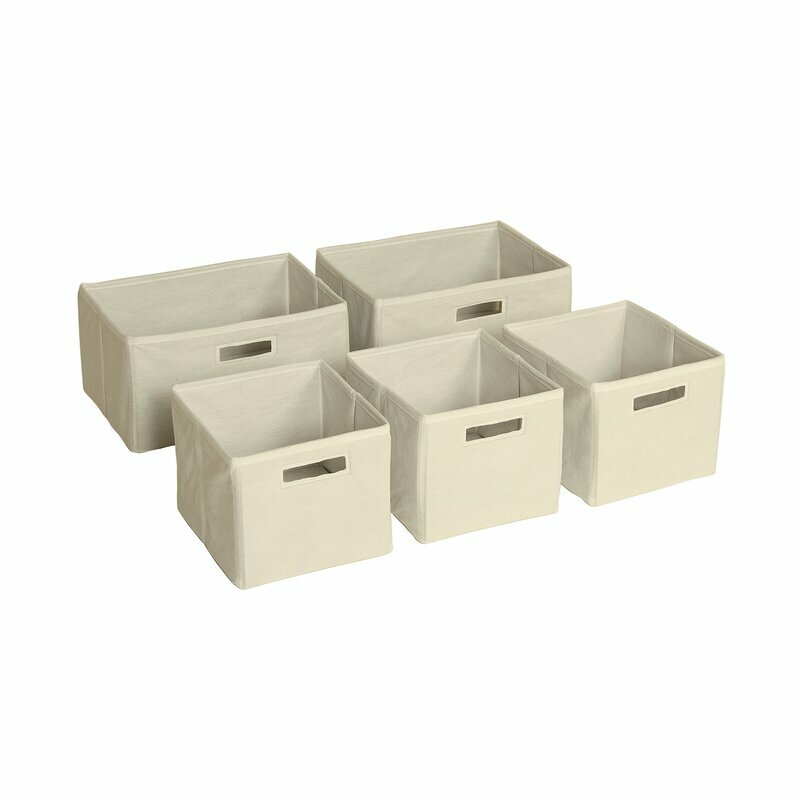 I really love that they're the perfect size for just about anything, like bathroom tissue, kitchen linens, etc. The Herringbone Plastic Baskets are plastic but still have that classic woven look and I love their look and texture and are perfect for our extra keys and all the dog accessories. The shelves are not too long either and the baskets are the perfect size for them. I love that I was able to leave enough bottom space for our larger bags and front space for the bigger items like yoga mats and vacuum. I'm extremely happy with how this closet turned out and all under $100. 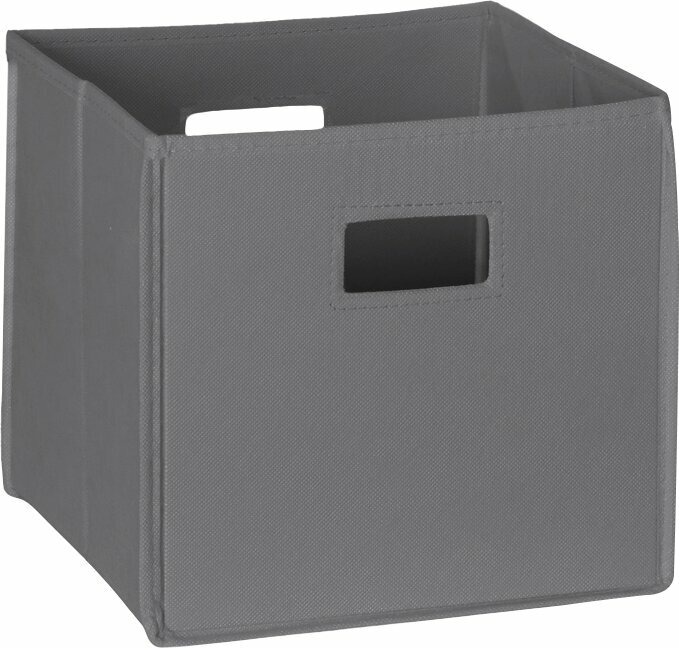 Wayfair was kind enough to partner with me on this project and the storage baskets I purchased. The baskets were all purchased under $50. 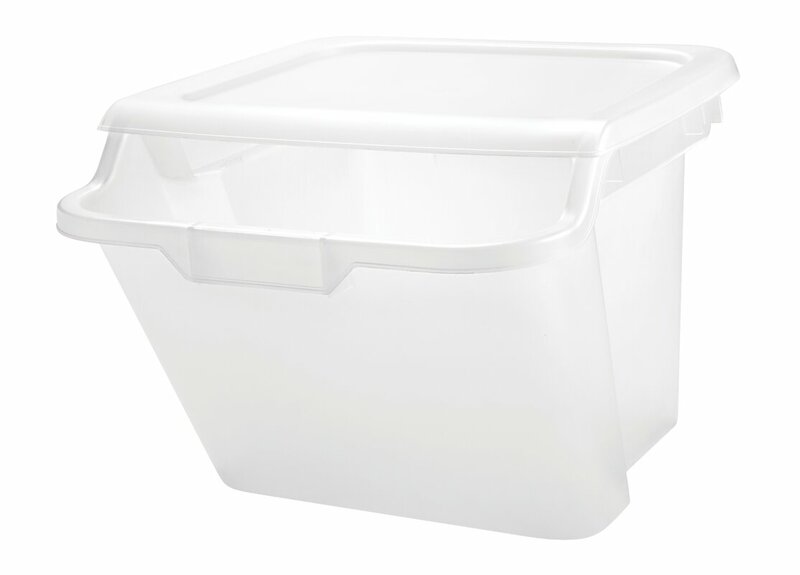 So believe me when I say, now is the time to load up on storage baskets and anything else you happen to need. 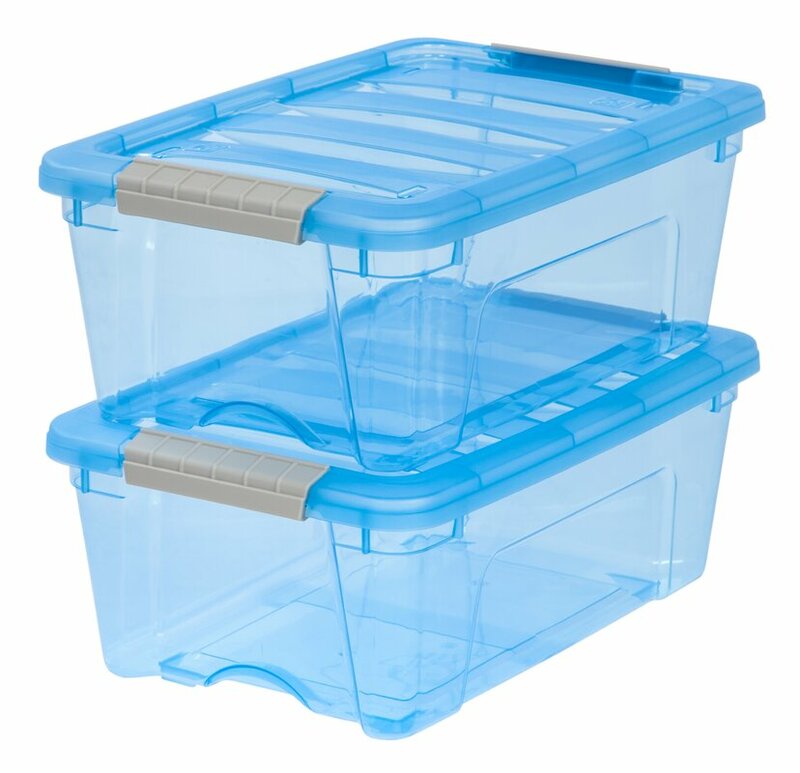 Here are a few other storage bins you can find useful for your next project from Wayfair.